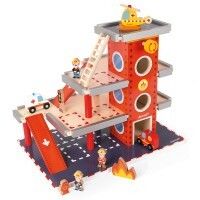 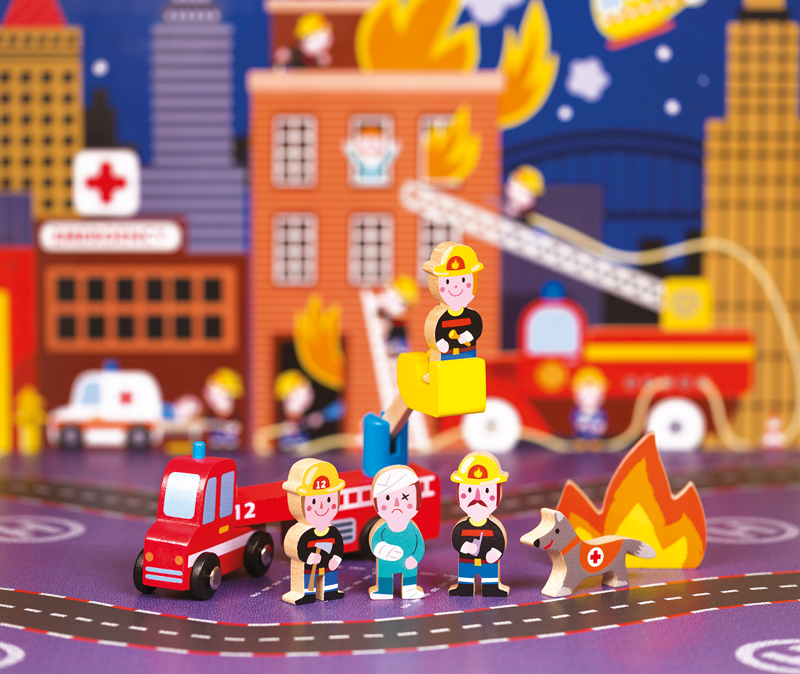 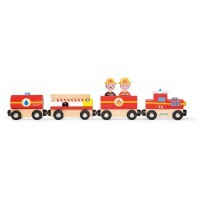 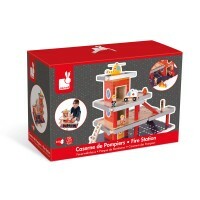 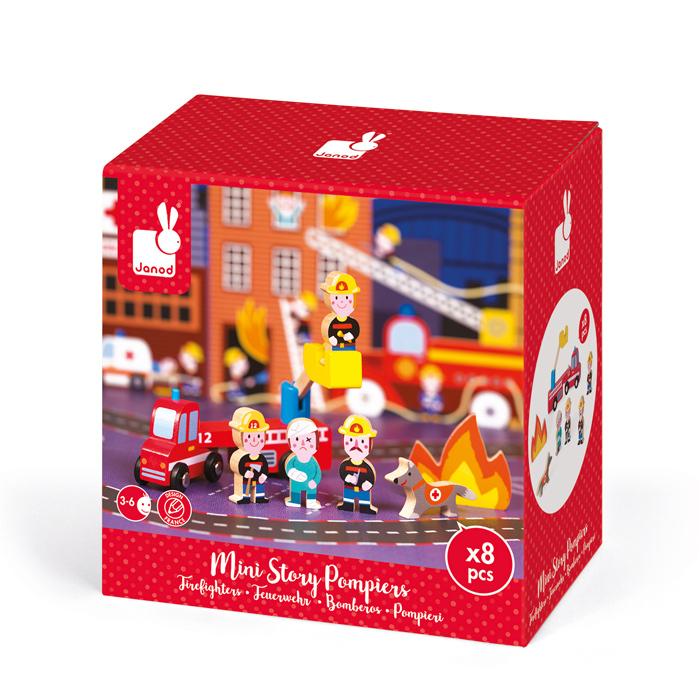 A compliment to the Janod Fire Station, the Mini Story Fire is made from wood and includes 8 pieces. 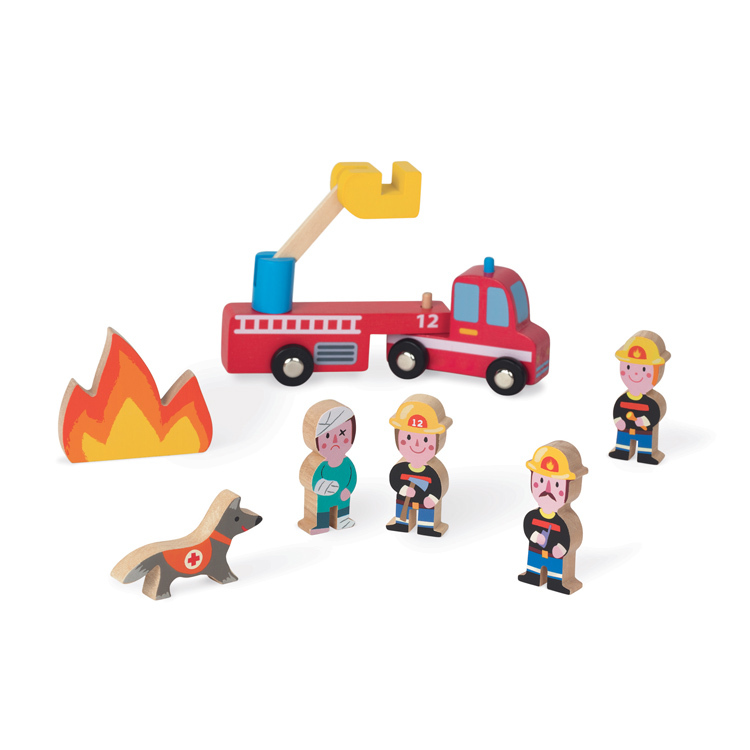 Complete with 3 firefighters, a rescue dog, injured person and a flame, is also has a fire truck with a crane that hooks to the rear, all with moving wheels. 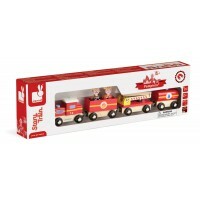 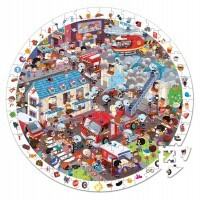 A perfect starting point for all little cadets.